Switching perfumes whenever she changes lovers, a woman seeks refuge from the loss of family and country in this beguiling debut novel from Miami Herald prize-winning journalist Fabiola Santiago. “Men are like perfumes. In an instant, with nothing but a whiff of a judgment, I either love them or discard them.” Marisol is an exuberant poet and historical archivist living in contemporary Miami. Like her adopted city, she’s a sensual free spirit. Born in Cuba and transplanted at an early age to Florida, she nurses a nostalgia for the legendary island birthplace she barely remembers. She also harbors a passion for scents, donning a new perfume each time she takes on a new relationship. After the death of her beloved grandmother and a series of sensuous but disappointing romances, Marisol realizes that she must break free from the shackles of her history, abandon lost causes, and embrace the only real home she’s ever had—her own wandering heart. 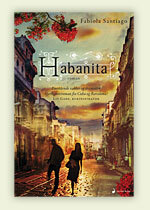 Freed at last from yearning for old Havana, “the Paris of the Caribbean,” this romantic exile must embrace a new life. Although she cannot reclaim Havana, she can experience the real thing – Paris – and so Marisol sets out with an open ticket to chart the course of her future. 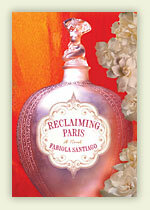 Bridging the divide between the effervescent Miami of today and the mystical Cuba of yesteryear, Reclaiming Paris is a paean to place and memory whose humor, passion, and unforgettable characters will resonate with readers everywhere.